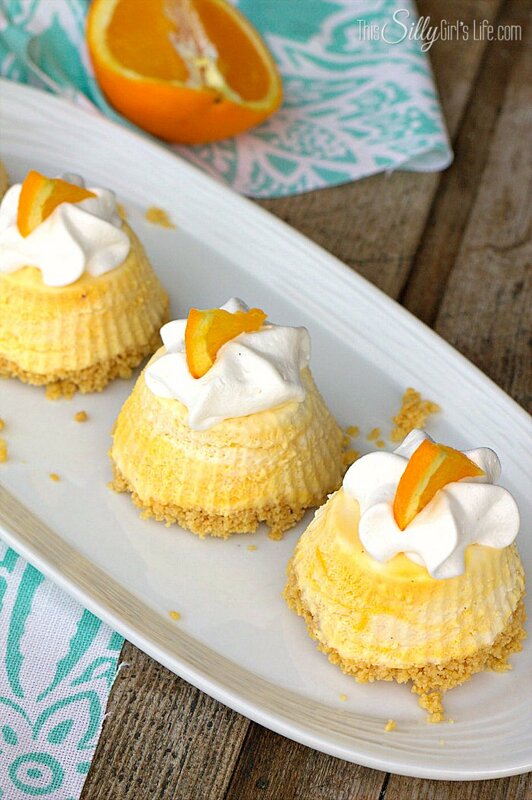 Creamsicle Pie, mini pies with the flavors of the classic creamsicle, perfect for parties or an anytime treat! 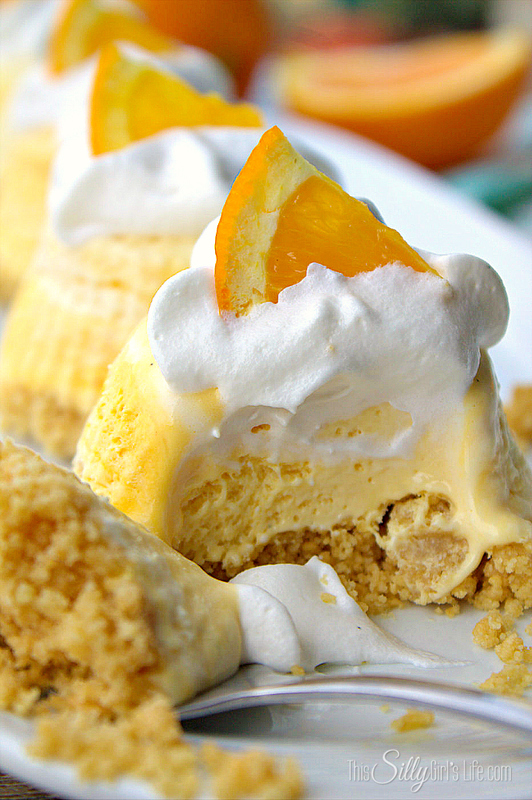 Creamsicle Pie is one of my favorite desserts and it will be one of your favorites too! These little cuties are so amazingly delicious. When I was growing up, I used to LOVE (and still do!) creamsicles. I don’t know what it is about them but the ice cream is just soo soo good! Take me to the recipe for Creamsicle Pie already! If you would rather not hear my super helpful tips and tricks, FAQ, and my overall awesomeness and get straight to this delicious Creamsicle Pie – you can very easily scroll all the way to the bottom of this post for the full printable FREE recipe! Bon appetit. Sorry, I’m just a little excited for today’s recipe, cantcha tell?! LOL. If you didn’t know, I’m currently living in Florida and we are known for our Florida Oranges! Starting off with a healthy option like fresh orange juice boosts your nutrition for the day! But, orange juice isn’t just good for breakfast, as you can see in today’s post! Oranges and orange juice are a major staple around these parts so I’m doing my state proud and featuring our state fruit! 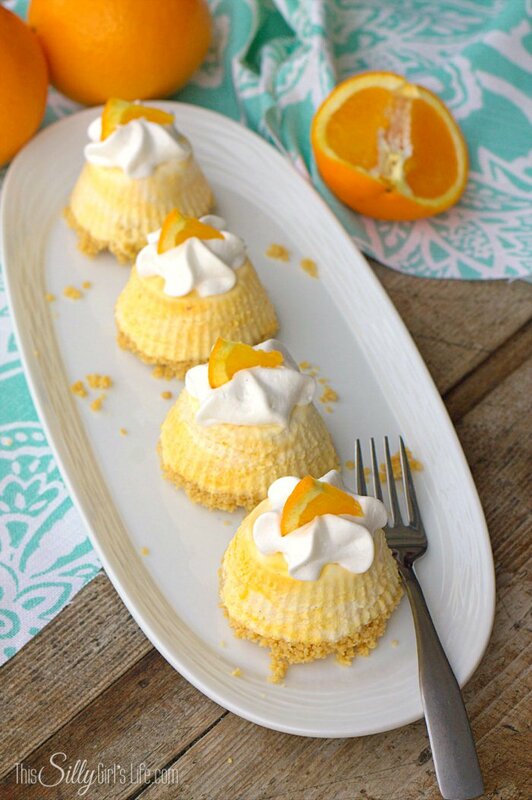 Orange Cremisicle Pies- the perfect treat! How do I get the pies out of the cupcake liners? The easiest way I have found to get them out of the cups is to place them crumb side down on a plate and then roll up on the cups. Don’t try to just push them out from the top or the filling will get all smashed. Aren’t these cremiscle pies just the cutest?! Not to mention deeee-licious! The filling is very similar to an ice cream filling- YUM! 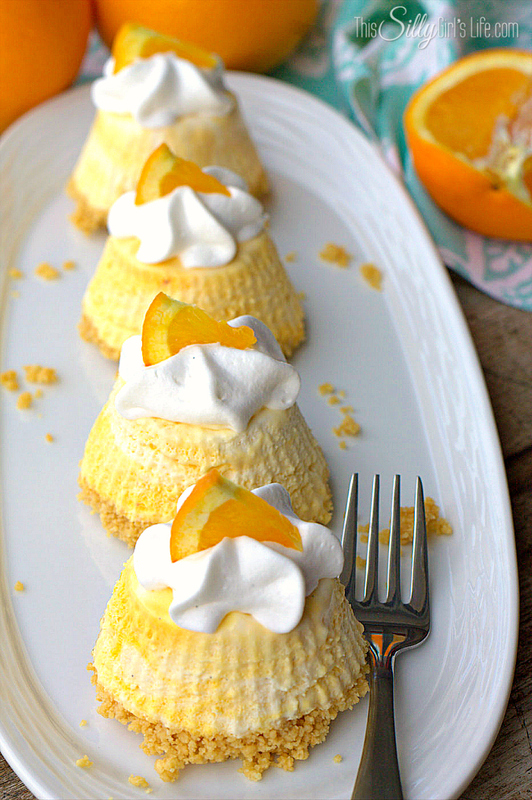 Yea, I went a little nuts with the pictures again but these creamsicle pies are just so photogenic! I really hope you liked today’s recipe!! If you like this recipe make sure to check out my no bake oreo pie, creamsicle yogurt bites, and my blueberry lemonade cocktail! 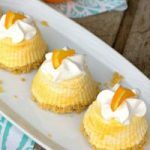 Individual Frozen Creamsicle Pies, mini pies with the flavors of the classic creamsicle, perfect for parties or an anytime treat! Mix the cookie crumbs with the melted butter, set aside. In a large bowl, using a hand mixer cream the cream cheese for 1 minute. Add in the condensed milk and mix to combine. Add in the orange juice and vanilla, very carefully on low speed mix until everything is fully combined. Fold in the whipped topping. Optional: Take about 1/4 of the mixture and place in a separate bowl. Dye a medium orange color. Pour the orange mixture back into the original mix. Very carefully just swirl the orange into the mix, not combining it all the way. This way you will get that pretty gradual orange coloring to the pies, like a marble effect. Evenly divide the mixture among 24 silicone baking cups. Top off with the cookie crumbs mixture just up to the top of the cups. There should be just enough mix and cookies for 24 cups. Place in the freezer until set, this can take up to overnight so prepare ahead of it. 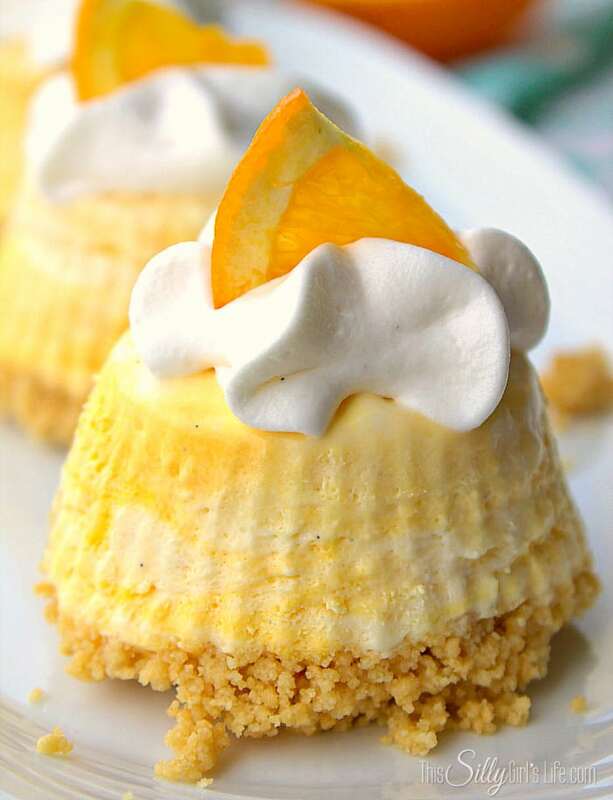 Serve with more whipped topping if desired, enjoy! When I first saw these, I thought, “Wow, these remind me of those little key lime pies!” Ha ha! I didn’t know those were yours, too! These sound (and look!) amazing! I am so tempted to go buy some Vanilla Wafers so I can make some today! Creamsicles are one of my favs, too! And, don’t worry about too many pictures – your photos are beautiful and extremely pin-worthy! These little frozen treats look incredible and so yummy. Thank you for sharing. PINNED! Wow! These look really good. 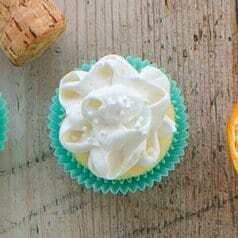 I have been wanting to make Orange Julius’ at home but perhaps I’ll try these cute little treats instead! Oh Dana, you do know your way around a plate! Thank you for sharing. these look divine! So yummy-licious! 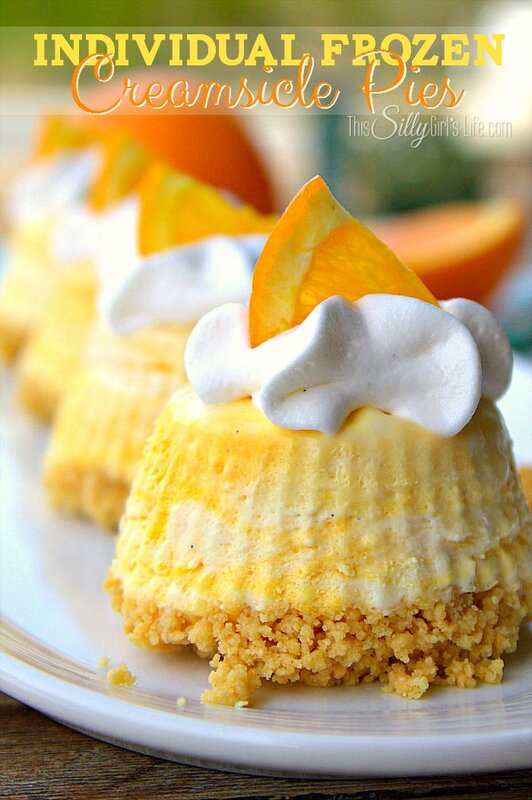 these little frozen creamsicle pies are like a touch of summer you can eat year round! nom 🙂 Thanks for sharing the recipe with Snickerdoodle Sunday! My kids would love these. I will have to try them. Thank you for sharing on Show Me Saturday! O my WOW! 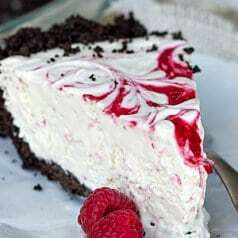 This is the best desert I have seen in a while I know every one in my house would love. Wake Up Wed Party on! 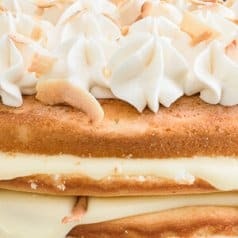 Oh this recipe is going on my “to do” list! Yummy and pretty too. Pinned! visiting from girlish whims linky… sounds good and a good thing to make the day before…but I dont’ like orange! But I am going to try it with another flavor! Thanks! Made and enjoyed, but they didn’t come out of silicone cups as pretty as yours. Did you let them sit out of the freezer at all before removing? If they are super frozen, I will run them under warm water first. But, if they do set out for a couple of minutes, that should do the trick. I also kind of flip the silicone inside out as I peel it off the pies, if that makes sense.